Mach Sport stands for comfort, warmth and convenience. Featuring a women's specific design, double Quick-Instep and Lift-Lock buckles for easy entry and exit and a NFS/PE liner for maximum comfort and warmth. 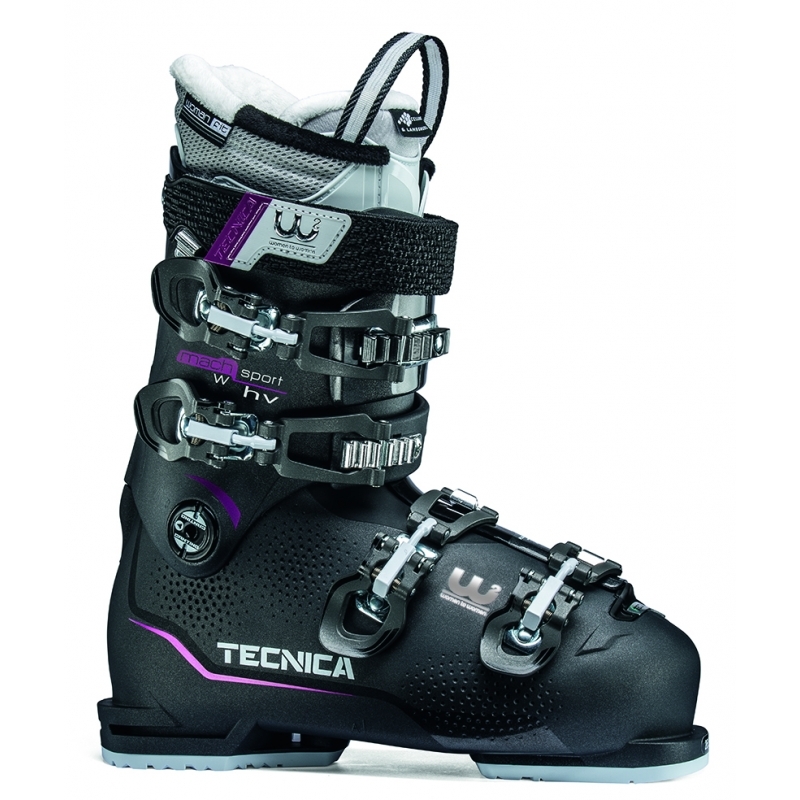 Built on a very anatomical, high volume, 103 mm wide last the soft flexing HV 75 W is the ideal choice for women with wider feet who are looking for a very comfortable and solid performing boot to ski longer and have more fun.